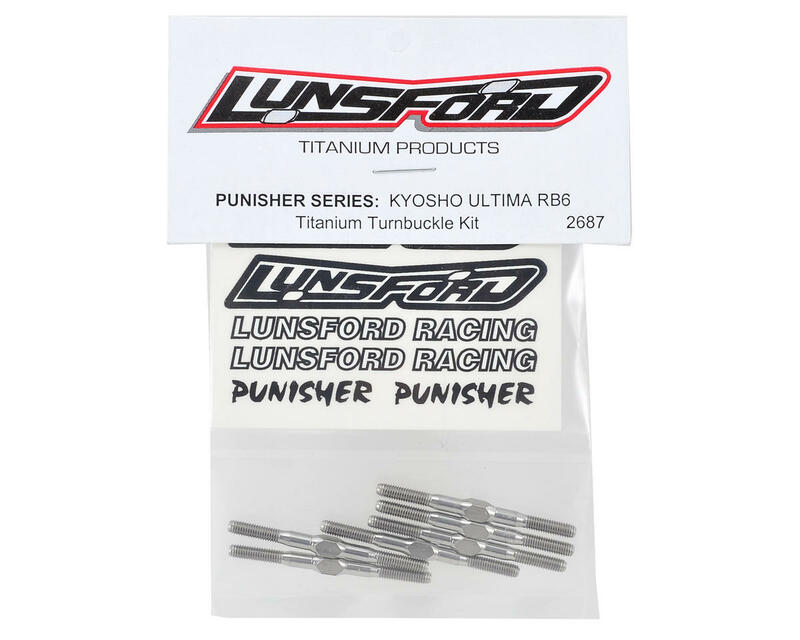 This is an optional Lunsford "Punisher" Titanium Turnbuckle Kit, and is intended for use with the Kyosho Ultima RB6 1/10 scale buggy. These Lunsford turnbuckles are CNC machined and thread rolled in house from domestic US 6AL/4V grade titanium. If you want to put your car on a diet, this is one of the best places to start eliminating weight, without sacrificing strength. 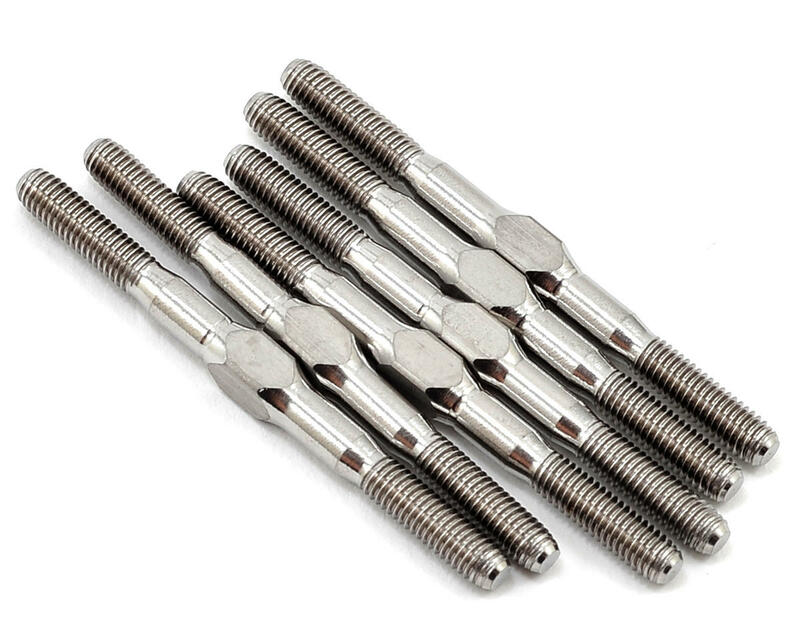 Note: Use this turnbuckle kit with the stock Kyosho ball cups.